The Dragon Mine is the only known measured resource of Halloysite Clay in the Western Hemisphere significant enough for large scale commercial production. 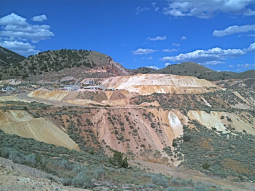 It is located in the Tintic District of Utah, covering 267 acres of fully owned land with mining permits for extraction of minerals. Applied Minerals Inc developed the Dragon Mine with a clear focus on customer needs and markets. To achieve this, the Company has retained world-renowned experts in Halloysite to create a standard for the characterization, quantification, and commercialization of this unique mineral. 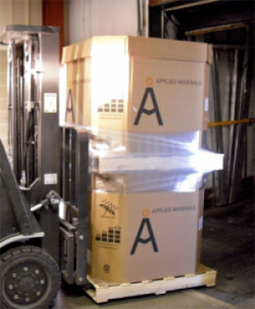 As a result of these efforts, Applied Minerals is able to deliver commercially consistent product grades of the highest quality Halloysite in the world. Applied Minerals’ extensive drilling program continues to explore underground areas of the Dragon property including two mines developed by prior operators as well as one area that had previously remained unexplored. To date, it has been determined that the collective area contains a Measured Resource of 2,058,128 tons of clay. Extraction of material from targeted areas of this resource is in progress. The Dragon Mine also contains an ultra-pure iron oxide resource consisting of Goethite and Hematite. To date it has been determined that the property contains a Measured resource of 3,302,275 tons of iron oxide. Further exploration and analysis of the underground resource is ongoing. The Company, through its geologic survey, has measured five surface piles on the Dragon property encompassing 4.5 million tons of material which can be processed to create purified Halloysite products. The piles were formed by prior operators (from 1949 to 1976) who rejected the mined clay because it did not meet the criteria for their specific end market. The operators abandoned the Dragon Mine in 1976 when they believed all economic and acceptable resources of Halloysite had been exhausted and an ability to purify the surface piles did not exist (now available today). The surface piles were never removed as the operator failed to appropriately remediate the land. Applied Minerals extraction of material from these surface piles provides that overdue remediation, restoring the land to its natural, undisturbed state. To date, Applied Minerals has characterized the chemistry and mineralogy of the surface piles and developed a processing system to convert them into purified Halloysite products. Applied Minerals utilizes a dry beneficiation method to process its Halloysite products through a micronizing system located on the mine site. The process utilizes a low energy jet mill without the employment of any chemicals.